Katie & Chris celebrate successfully completing the Oxygen Administration SDC. 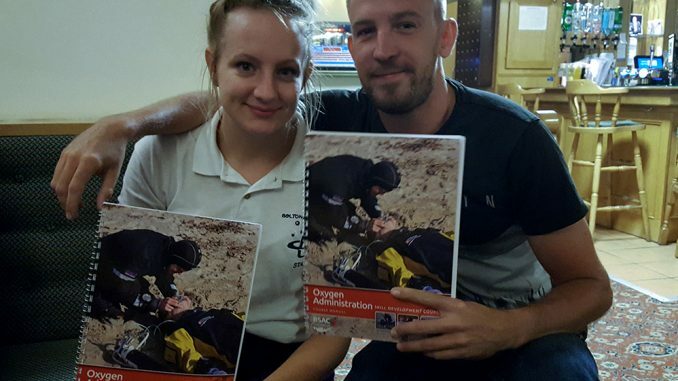 Congratulations to Katie Broadley & Chris Wood for successfully completing their Oxygen Administration Skills Development Course (SDC). 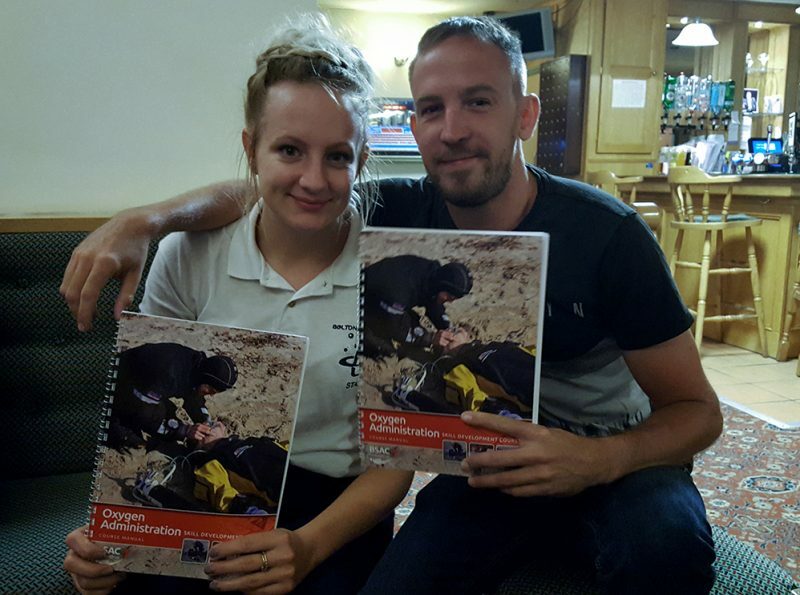 Katie & Chris sat the BSAC O2 Admin SDC assessment paper at club night and they both passed with flying colours. Both are in training towards Dive Leader and the successful completion of this SDC automatically signs off Dive Leader theory lectures DT2 – DT7. 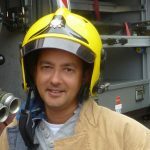 Many thanks to our Simon Fryer for running the course and to Naz Alam for overseeing the assessment. Chris & Katie sitting the assessment for the Oxygen Administration SDC.